Join us for a fun-filled and informative workshop with our good friend and fellow sewist, Giuseppe Ribaudo (AKA Giucy Giuce). The Particle workshop is more than just a class in making a new pattern. It's about learning to work economically and efficiently with your time and your fabric. Learn simple equations, organizational techniques, and other tips and tricks to maximize your sewing productivity! We will use a variety of cutting techniques, foundation paper piecing, chain piecing while learning a variety of ways to create common quilting motifs like HSTs and flying geese. We chose this project because of its nod to traditional piecework with a modern twist, only as Giucy can provide! 7:00pm - last question is answered: Lecture & Trunk Show ~ Learn about Giuseppe's creative journey and hear about his newest role as fabric designer. You will also be treated to a trunk show of his amazing quilts. Q&A will follow. 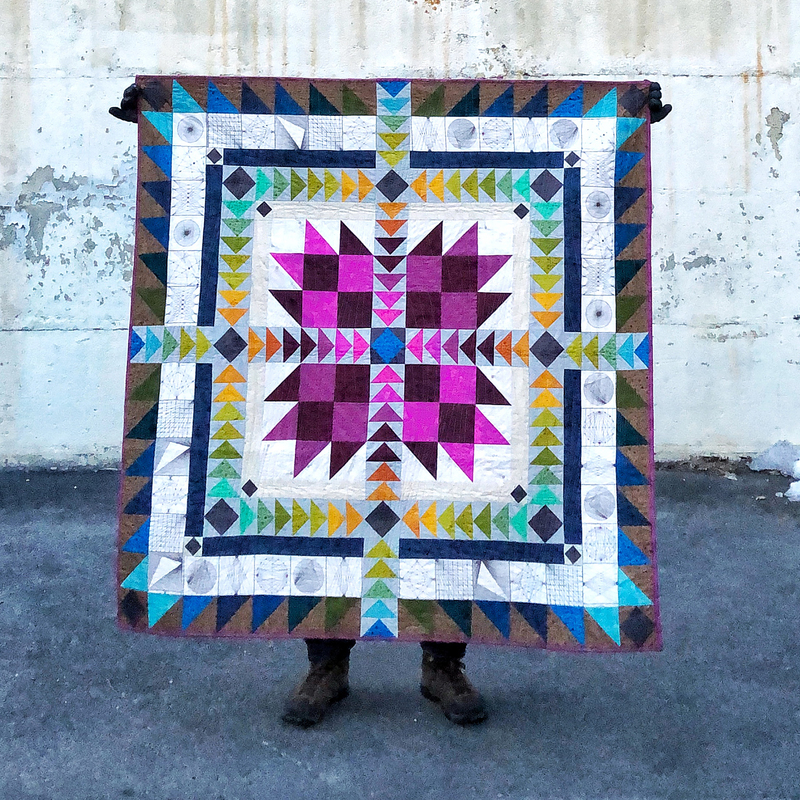 8:00am - 1:30pm: Workshop Studio Session with Karis & Jenni ~ Students will be able to use this time to continue the momentum from Saturday's workshop to make additional headway on their Particle Quilt. Coffee and donuts will be provided to keep you sustained! Requirements: Please note this is not a learn-to-sew class. Students must have basic sewing and quilting skills. You should be comfortable using a rotary cutter and ruler to prepare your pieces and know how to use a 1/4" (patchwork) foot.